The South African city’s taps may not run dry this year, but low rainfall, population growth and invasive flora keep the threat alive. Poor governance adds to the risk. Tradable water rights could bypass many of those problems, and set an example for other arid regions. Sand blows across a normally submerged area at Theewaterskloof dam near Cape Town, South Africa, January 21, 2018. March 22 marks the 26th World Water Day, an event created by the United Nations in 1992. The theme this year is using nature to overcome water challenges. As of March 19, the series of dams that supply Cape Town and the Western Cape with water stood at 22.7 percent full. A year ago they were roughly 30 percent full. In May 2014 the level was 71.9 percent. 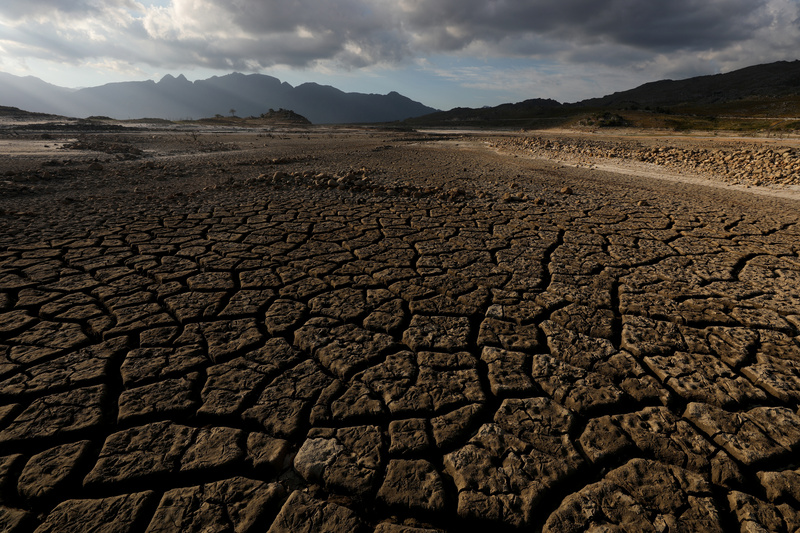 By March 12 Cape Town had pushed back to 2019 the prospect of hitting Day Zero, at which point water would no longer be piped to residences. Instead, residents would have to go to one of 200 government-run locations for a daily individual supply of 25 liters of water. Just two months ago officials predicted it could hit as early as April 12. The city has implemented a number of measures to save water, including targeting overall use to 450 million liters per day, and per-person use of some 50 liters.